When you work at Railinc, you collaborate with smart, creative and enthusiastic colleagues in an environment that embraces individual differences and rewards your best work. You learn from top technology specialists, industry experts and business leaders. We offer a wide range of challenging technical and business opportunities. Meet some of our current employees below and learn about their work, what it's like to be part of the Railinc team and the path they took to get here. And find out about four of our employees who started their Railinc careers on our customer success team and today work as managers and business analysts. Nate works within the asset services department analyzing rail equipment data, so that rail cars can move quicker, safer and more efficiently across North America. Railinc's collaborative work culture made it easy for Nate to find his footing when he started and fit right in — and now he's standing out. In 2017, Nate was the recipient of Railinc's President's Award, which recognizes an employee who has made extraordinary contributions to the company through their work. Meet Nate. As part of Railinc’s finance group, Amber works with department heads to determine their budget and quarterly forecasts and provide reporting and analysis throughout the year. When she went looking for a new job, she wanted to find a company where she fit into the culture. When she met the people on her team and saw how they worked, she knew it was the right place. Meet Amber. 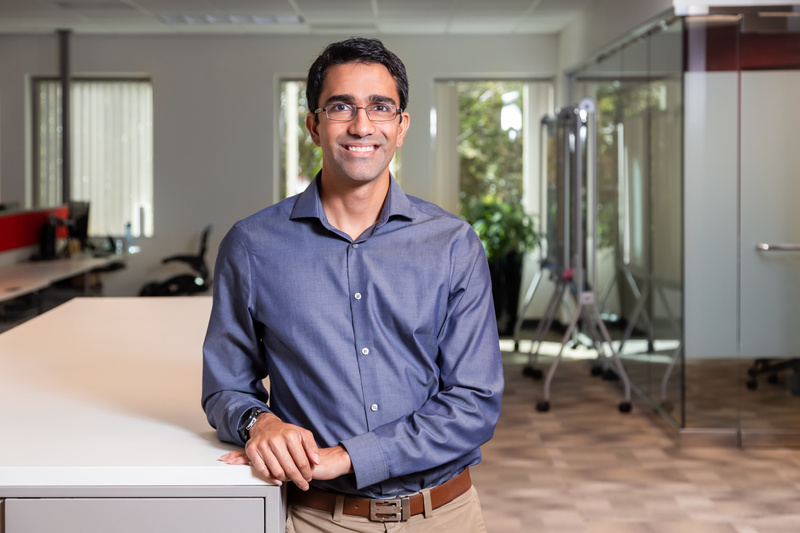 Akhilesh is part of a team that is developing a product that is used every day to help manage traffic in the Chicago corridor, which is the busiest in North America. Most of his work focuses on using GIS data to build the geometry and geography around the track throughout the corridor to help users make better traffic planning and management decisions. Meet Akhilesh. A U.S. Army veteran, Robert works with Railinc developers and business analysts to make sure the company's applications are working and that developers have the infrastructure they need to do their jobs. He has held a variety of jobs at Railinc, including Java developer, business analyst, and database administrator, and even today handles tasks that are not part of the typical IT role. Meet Robert. As a project manager, Swarna oversees a number of Railinc applications and ensures that features are performing as expected, while also identifying areas for potential growth. Carriers, car owners and equipment maintenance providers depend on these applications to complete daily operations, and with the help of her team of software engineers, Swarna keeps the North American freight rail industry running safely and efficiently. Meet Swarna.